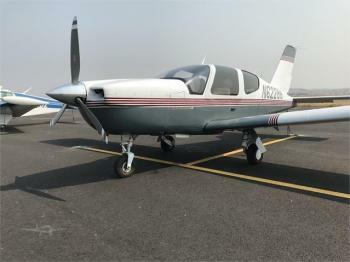 Impeccably maintained and flown regularly, this airplane is superbly equipped for IFR and is a "cross-country machine" 175kts, 16gph at 17,000FT!! Airframe Details: 4 place built-in Oxygen System Prop TKS Anti-Ice Tanis Electric Pre-heater Guardian I Backup Vacuum pump. Shadin Miniflo-L Fuel Flow LED Landing and Taxi Lights Blaupunkt AM/FM Stereo with CD player and Aux input to audio pan......more. European Elegant Design, Loaded with NEW Garmin GTN-750WAAS, GTX-330D, SL-30 Nav/Com, GMA-340 Audio, HSI, Digital Engine Monitor King Autopilot Altitude Alert System, Gull Wing Doors, Handsome Paint Scheme Call Scott MacDonald Listing Broker 772-781-5900 Airframe 4043 Total Time Since NEW Engine(s) 1680 SMOH Lycoming IO-540-C4D4D SN:18131-48A Lycoming Factory Reman 1999 Prop Specs 55......more. A beautiful cross-country luxury machine with European flair and panache. Super easy to fly. The most forgiving of any high-performance single. A very wide cabin with easy double door access. 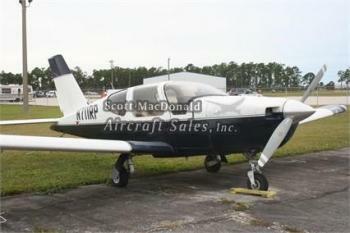 Readily available parts with American made engine, propeller, avionics and many other components. With one of the best useful loads and service ceilings of any airplane in its class. Go the distance in comfor......more. 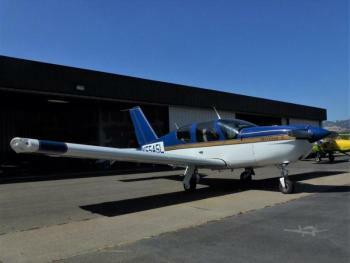 Beautiful, capable, airplane that will take you a long way in comfort. Take in the views with the fabulous visibility, arrive swiftly at your destination and step out easily due to the gull wing doors. This plane is straight-forward in design, ruggedly built and is arguably the easiest to fly high-performance single. All that and 1220 lbs useful load! Airframe: 1554.2 hours TT as of 8/28/2017 E......more.